Benjamin Contrucci, age 37, has been employed by SSB Bank since April 2017 and currently serves as the Chief Financial Officer. From April 2016 to November 2016, he served as Vice President/Consumer Credit Officer with The Farmers National Bank of Emlenton. From March 2008 to April 2016, he served in multiple positions at United American Savings Bank, starting as a Loan Specialist, then serving as Chief Lending Officer from February 2012 through April 2016. 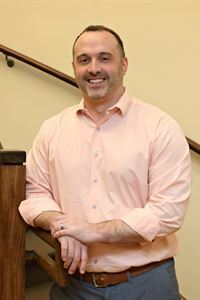 He earned a Bachelor of Science degree in Mathematics from Allegheny College in 2002 and a Masters in the Art of Teaching from the University of Pittsburgh in 2003.